Carl was raised with a hard work ethic, and knew you had to work hard to earn your way, as life does not come easy. Even after years of attending college and attaining various degrees, Carl’s heart always called him back to working with his hands. One of his proudest achievements was assisting in the construction and subsequent maintenance of a Golf Course at a local University from start to finish. Over the last 25 years Carl has developed a unique and elaborate skill set trough working with and alongside the various trade groups. After many years of ideas developing in his mind, Carl decided to “Go Pro” in 2016 and become Licensed as a Builder within the State of Michigan. He launched Carl Romano LLC with the intention of providing the very best customer service in home renewal and renovation, within the Metro Detroit Area. As you can see through the sample photos of multiple projects Carl has completed, he takes his job VERY seriously. A bonus includes his developed eye for design and build concepts. This allows Carl to bring his “secret sauce” including years of design knowledge and knowhow to your project. Carl’s goals are to help you resolve all your home issues needing attention, with honesty, integrity, and peace of mind. As Carl continues to look to the future, he hopes to become one of the leading home remodelling services in the Metro Detroit Area. Carl Romano Home Renewal Services strives to be the premier home renovation servicer located in the greater Rochester Hills area. Although a small family run company, Carl Romano will provide you and your home project with outstanding service. By Carl Romano being fully licensed and insured, indicates you can rest easy knowing your project will be completed correctly, safely, and on time. Plus, all our work is performed with our 100% customer satisfaction guarantee. your requirements and needs. Then, let Carl Romano go to work for you and complete your project. 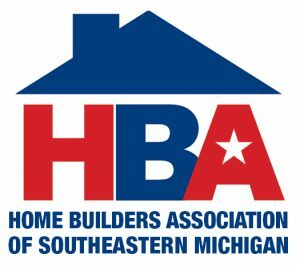 As a member of the National Home Builders Association, and the Home Builders Association of Southeastern Michigan, Carl Romano performs work to the standards, polices and tenants of these great organizations. Carl Romano is Certified as an EPA Lead-Safe Firm. Carl has been trained as a Certified Remodeller to keep your home safe during the remodelling process using Lead-Safe work practices. Licensed Residential Builder, State of Michigan, License Number 2102213685. Expires May 31, 2019. We all know how difficult it is in today’s world just to find a contractor, let alone one who is licensed, insured, reputable and will perform to the most exacting of standards every homeowner deserves. Fortunately, you have found a home renewal service which is just that! Carl Romano is not only licensed and insured, but their commitment to quality is backed by their written customer satisfaction guarantee. This means the job is not done till you the customer are 100% satisfied. Carl has exacting standards and will apply those same exacting standards on your project no matter the size or scope of the job. Carl knows in the renovation business you are only as good as your LAST job completed, and if the project is done correctly, it will withstand the test of time. Given the previous projects Carl has completed as found within these galleries he believes his work stands on its own merits and trusts it will withstand the test of time. As a member of the National Home Builders Association, and the Home Builders Association of Southeastern Michigan, Carl Romano preforms all work to the standards, polices and tenants of these great organizations. Carl Romano is Certified as an EPA Lead-Safe Firm. Carl has been trained as a Certified Remodeller to keep your home safe during the remodelling process using Lead-Safe work practices.